Many great things have happened in the coffee industry over the last several decades. Thank goodness that most of those great things have made their way to the office environment. Truth be told, office coffee is no longer the one-dimensional offering it once was. Today’s office coffee service offers a ton of great options by way of both coffee products and the equipment used to provide workers with that morning cup of Joe. If your current coffee service offers only one or two blends and an outdated pour-over machine, it might be time for you to consider switching services. The modern office coffee service offers all of the latest equipment along with dozens of varieties of coffee products; most also carry other hot and cold beverages as well. We haven’t even scratched the surface with these five flavors; there are many, many more. Needless to say, there is something for everyone. As far as blends go, creative roasters are coming up with some very unique products. For example, you can choose a premium French roast or a popular donut shop blend. The biggest change in the coffee service industry since the turn of the 21st century is the introduction of the single cup machine. The single cup machine makes it possible for workers to have a fresh, hot cup of coffee at any point during the day – without having to worry about “stale” coffee that’s been sitting on a burner for four hours. Single cup machines also make it easy for people to enjoy different flavors as they see fit. The convenience of the single cup machine is probably its biggest selling point. With an older, pour-over machine, someone in the office has to be responsible for cleaning the pots and burners, cleaning the filter basket, and making sure burners are turned off at the end of the day. The single cup machine is virtually carefree. Every worker is responsible for his or her own cup. There are no pots, burners, or filter baskets to worry about. Of course, the single cup machine would not be the best choice for board meetings and other gatherings where individuals do not have easy access to coffee. Now though, we have thermal brewers that can brew the equivalent of a 12-cup pot and keep it hot for hours on end, with no burners involved. It is yet another way to keep coffee hot and fresh throughout the day. There is no doubt the coffee service industry has changed over the years. At Galaxie Coffee, we pride ourselves on always being at the cutting edge of service and technology. We would be honored to be your coffee service provider in the greater New York area. Please feel free to browse our website to see all of the exciting flavors, blends, and equipment we provide. In addition to coffee service, we also offer a full range of cold and hot beverages, paper products, janitorial supplies, and more. Do you remember the “I gave up coffee” slogan of the late 1970s and early 80s? 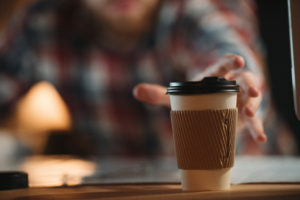 Many American consumers were ceasing to drink the world’s staple hot beverage thanks to flawed research that linked coffee consumption with heart disease and cancer. The problem with that old research is that it never took into account other bad habits, including tobacco use and lack of exercise. New, more refined research now shows there are multiple health benefits that come with daily coffee consumption. Studies at Harvard University and UCLA suggest that regular coffee consumption can reduce the risk of developing type II diabetes. The Harvard researchers believe increasing consumption from one cup to 1.69 cups per day reduces diabetes risk by as much as 11%. The liver is an organ that helps to filter toxins out of the bloodstream while also producing some of the chemicals needed for digestion. Research suggests regular coffee consumption reduces the risk of certain liver diseases, including cirrhosis and primary sclerosing cholangitis. Researchers from Italy believe regular coffee consumption reduces the risk of developing liver cancer by 40% to 50%. Dual studies from Harvard and Beth Israel Deaconess Medical Center showed the health benefits of coffee relating to heart disease are significant. The research indicates that moderate coffee consumption can reduce the risk of heart failure by as much as 11%. 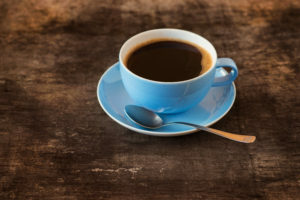 Multiple U.S. studies have shown a link between moderate coffee consumption and preventing or treating Parkinson’s disease. One study showed a reduced risk of Parkinson’s among moderate coffee drinkers; another study showed that coffee could help treat the symptoms of those who already have the disease. One of the more recently released studies followed more than 83,000 coffee drinkers in Japan. The study found that those consuming coffee on a regular basis were 20% less likely to suffer stroke, compared to those who consume coffee only occasionally. Beyond the five health benefits of coffee we listed here, there are other things to consider. For example, black coffee is a great beverage choice for those who are trying to limit their calorie intake. Black coffee has only about 2 calories for an 8-ounce cup. Coffee is also rich in antioxidants, which, some scientists believe, are vitally important to good health and disease prevention. Here at Galaxie, we believe the health benefits of coffee are definitely something worth considering. If you are interested in office coffee service for your workplace, please give us a call. We service the greater New York area with a full range of hot and cold beverages, paper accessories, and more.